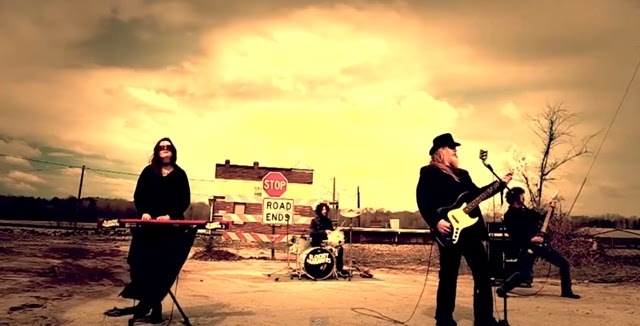 North Carolina southern gothic hard rock band BLOODY HAMMERS has released a video for the ballad, "Death Does Us Part" off their new album, "Under Satan's Sun" via Napalm Records. The band tells MetalMessenger.com, "The song is based on an area where we live called Lover's Leap. There are multiple stories about couples who have had suicide leaps from there over the years," says singer/bassist Anders Manga. "It's one of the lighter songs on the new album but the story lended itself well to video. We're very pleased with how it turned out."